Nice to hear, I'll probably write my opinions on the AAI-games here as well, but it may take some time (at least a few months) until I finish them (since I am generally not a very fast player and there are some weeks were I'll hardly have time to play at all). I agree with you, I like AA1 very much, bit it is simply not as good as for instance T&T. However I don't really think that everyone loves 1-1, at least I don't think it is a very good case. I guess the only reason why many people like it so much is the fact that it is the very first case ever and introduced us perfectly into the Ace Attorney franchise. As a standalone however, case 1-1 really doesn't offer much at all, the culprit is shown in the intro, the story and the cross examinations are simplistic and the case is probably the shortest in the entire series. It is a good tutorial case but imo not as good as the other cases in the game. My favourite cases from the first game are 1-4 and 1-5, I love both of them. I will agree that AA1 and T&T are very close,but I feel that the first game just does everything nearly perfectly. I adore it so much. T&T did things mostly alright,but it's only because of one certain case that it's propelled to my top three. Thanks the OP for all those case summaries and thoughts. I actually read them all (cept for Layton vs PW ) and it was very helpful in reviewing past cases without spending a year replaying all of them lol. Here are my rankings of all the games that I played. This is based on the fact that the three most recent games I finished were SoJ and the two Investigation spinoffs--perhaps my opinion of numbers 5-8 might change if I replay them and think more about them, but numbers 1-4 I feel are pretty solid. The only thing our lists have in common are JfA and AAI2. Both the second games of their series. Maybe DGS2 would fit in the same place if we both played it? Planning on doing an in-depth video review series on this at some point, but for now here's just the rankings. Last edited by Lind on Wed Jan 18, 2017 9:45 pm, edited 1 time in total. Hmm,I see. Do link to this series once you've started thus. 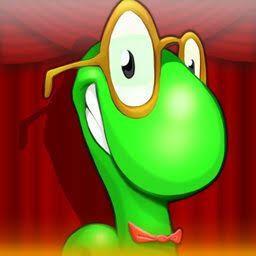 Oh,and out of curiosity,which are the cases/games you find good/bad/mediocre? 42-35 - Significant problems or underwhelming positive aspects. 34-27 - Either merely good or heavily mixed positive/negative elements. As for games, AAI2 and T&T are both great with very little issues to address. SoJ was really hard to rank because at its best it's the absolute pinnacle of the series (the second half of TRev) but it stumbles many times setting up something so ambitious. Still, I'd rather reward something that takes great risks and stumbles than takes no risks and succeeds. Speaking of which, DD was probably the most consistently good game in the series when it came to core concepts, but had a lot of issues in its execution that dragged it down. Points for Blackquill though. Vanilla Ace Attorney is good, but its supporting cast mostly sucked and it doesn't have a whole lot of meat on its bones compared to later games. 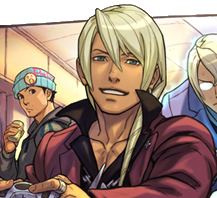 I loved Apollo Justice when it came out for the interesting new direction and tone it took. Obviously the series didn't run with it and the game has a lot of issues but it wins a lot of points for concept, plus the influence it's had on the series since. While I consider the AAI concept and gameplay better than the main series, its lack of structure caused some major pacing issues (also seen in AAI2 in Imprisoned) and it has the weakest cast of any game in the series despite a couple of personal favourites. Justice for All is let down by being relatively directionless, serving as more of a middle-point for the trilogy, having one of the worst rivals, two of the worst cases in the series, and a poor OST. Farewell redeems it, but it's still the weakest game in the main series. 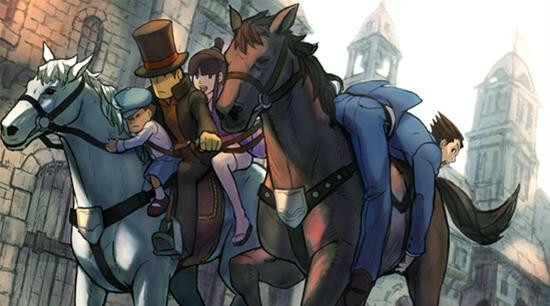 I don't care for Professor Layton and this game is a prime example of why. Shame, because simultaneous cross-examination was a good mechanic. I actually somewhat agree with you for the most part. Only switch DD and Layton and they're pretty similar. Though I also don't think AAI2 is flawless,but still. Your rankings seem to be very common in places,but what makes you hate the English Turnabout so much? That was what really got me by surprise. I don't think there's a single game in the series that's flawless, or even a single case for that matter (save for maybe Grand, which I have only played once, so maybe there's something I missed). Trials & Tribulations has the least flaws of any game in the series, but AAI2 has three of the absolute greatest cases in the series and I can't quite say that for any other game in this franchise. When I rank things, the highest high points are more important than the lowest lows. "Hate" really isn't the right word. The only case I really "hate" is The Final Witch Trial, and even that had its merits. And there are several cases higher-up on the list that I have far more venom for. The problem with English is simply that there is nothing in it that I can bring myself to love. The witnesses are bland, poorly-written, and amount to little more than gimmicks. The contradictions are nothing we haven't seen before. 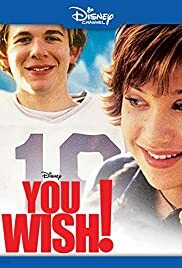 And while it did an okay job getting us interested in the overarching plot, the setup it provides is not used well at all and unlike, say, Trump, it doesn't hold up even a little once we know the full context. Sure, there's little bits that are decent. The animations are fun, Maya's pipe-bash was funny, and the remixed AA1 tunes are a nice touch, but none of it was impressive. Oh, and there is one thing worthy of "hate" - the most contrived way possible to introduce the culprit's motive. About Grand,there are indeed a lot of coincidences. For example,you saw the President in the film footage? Yeah,he was being hoisted from the balloon by Simon while being in a standing position while John was recording. That's pretty contrived,if you ask me. Heck,one could even argue that the overarching plot is a bit contrived if they'd feel like it. But I find it a major plus. And really,you liked the pipe bash in L-1?I find that funny,because that's probably the most out of character moment in this case,and the most out of character moment for Maya in general. The way they just kinda accepted it even though she assaulted Nick was especially jarring. I do sorta appreciate those moments in 2-1 and I-3,but they're overshadowed by the fact that Lang is really a jerk and somewhat OOC (think about it-would the Lang is case five have really arrested someone immediately with so little proof?) and that there's a lot of contradictions in 2-1 that aren't even pointed out. I'll try not to say to keep much (after all,I've already written my thoughts on every case in the series in way more detail), but those things definitely interested me the most. Probably all fair points, but I'll come back to this once I've replayed it. I'm replaying the whole series to reevaluate all the cases, and a lot of cases are better/worse than I remembered, or have inconsistencies that are only obvious once you know the whole truth of the case. I'm currently replaying the first AAI, and still need to replay AAI2, Layton Vs., and SoJ before I start the video series. Truth be told I don't really like Maya at all so it didn't mean much to me that it was out of character, especially since it had been a while at the time since I'd played anything with Maya in it. But I'll keep that in mind on the replay. Yeah,totally. Cases like 1-3,6-4 and all of AJ really stood out to me on replays. Really makes you appreciate the big picture. So that moment is extremely out of character, but her doing the exact same thing in 3-2 is not? Truth be told,I completely forgot about that. But yes,that also was really weird. I think this one stuck in my head more because THEY ACTUALLY ANIMATED IT. That's kinda crazier. I'm bored,so I guess I'll give you my thoughts on the Layton Bonus episodes. Here we go I guess. These are imo the best part of the whole game. They all range from hilarious to somewhat even emotional. Love the way they continuously break the fourth wall unforgivingly. They even mock some tropes of both series. I loved the ones where they especially broke the fourth wall,but the one focussing on Constantine's backstory was very good and emotional. If I had to point out a flaw though,it'd be the puzzles. The first few are indeed unused puzzles from the main game. But the last few are just reused puzzles,which is really irritating. Especially when they say 'Oh here's a totally new puzzle' beforehand just to disappoint you further. Edgeworth also came off as unnecessarily condescending and I don't like that we never find out who won the Bezella pageant. But those are just nitpicks. The animation is good,even if they're using just the ones they had left. Overall,I really enjoyed these. Pretty self explanatory here if you ask me. I give them a 11/10. See you for an actual not c&p'd writeup when I finish DGS2 y'all. Last edited by Southern Corn on Tue Nov 14, 2017 3:23 pm, edited 5 times in total. No,a lot of people really really hate that case. It's the most hated case of the game,in fact. I just finished AAI1 today and unfortunately, this game didn´t live up to my expectations. I liked the fresh new concept, the music, the humour and the many references to older games. However the cases weren´t that great tbh. Games like T&T, DD and SoJ even made me cry at certain points, however this game lacked those emotional moments. Not only emotional moments, but also weren´t there any big twists or epic moments for which I normally love the Ace Attorney series so much. This is probably my biggest complaint, those thrilling moments and surprises were almost completely missing in this game. The breakdowns and final phases of the cases were mostly underwhelming, compared to other AA-games. The final case was by far the weakest final case in the series and the first 3 cases were among the worst in the series as well. 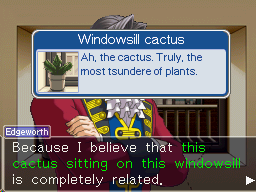 The only case that I really enjoyed very much was the 4th case, Turnabout Reminiscence. Another thing that I didn´t like that much was the fact, that the "defendants" in this game always were people that we already knew from the beginning would turn out to be innocent (in each and every case the prime suspect was a friend of Edgeworth) - I thought this game was about prosecuting criminals, yet it feels just like the main games were you get a defendant and have to prove their innocence. It would have been more thrilling and interesting if at least the suspects weren´t always friends of Edgeworth. Last edited by AchtungBaby on Fri Feb 17, 2017 7:36 pm, edited 2 times in total. I thought this game was about prosecuting criminals, yet it feels just like the main games were you get a defendant and have to prove their innocence. This I agree with it, in fact it's one of my biggest gripes with the Investigations games - why do we have to have falsely accused people even in a game about a prosecutor? I mostly agree with you. Really,that game is not great. It's still good. But yeah,as you can see,I disliked one of the cases in particular. How would you rank the cases of this game,btw? I actually think there's a reason for this: it's for the sake of the 'turnabout', which is the core concept behind any and all AA games. The idea is turn things around, so we always need to start from an wrong premise. Playing the role of as prosecutor as someone whose job is to prove the guilt of someone who has reasons to be suspected wouldn't do for a lot of twists. It's a very common mystery trope, actually. The first guy to be arrested is almost never the one who did it. And at least in Investigations they usually change suspects a few times during the case, as opposed to having only one defendant. Speaking of which, I replayed AAI recently and I enjoyed it a lot more than I thought I would. I guess it's better to enjoy this game for what it is instead of comparing it to the main series. I still think it's the worst AA game, but not by as much as I used to think. PD: Don't forget to play the second Investigations. It's much better than the first. Yeah,pretty much. The first investigations is still good...just not as very good. And YES,AAI2 improves on almost everything the first did. Well,except the soundtrack. I actually think there's a reason for this: it's for the sake of the 'turnabout', which is the core concept behind any and all AA games. The idea is turn things around, so we always need to start from an wrong premise. Playing the role of as prosecutor as someone whose job is to prove the guilt of someone who has reasons to be suspected wouldn't do for a lot of twists. Yeah, but there would be several other ways to create a turnabout and wrong premises without having someone falsely accused. 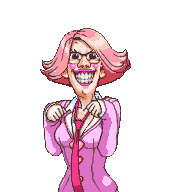 Also we don't really play the role of the prosecutor in the games at all since it's about the investigation, so it's more about finding that guilty party in the first place. Actually,you bring up s fair point. It is somewhat disappointing that in the end we never do go to court. A pity,because it'd be really interesting to see gameplay from the prosecutor's POV. Also,it's a bit funny we've had 10.45 cases to play as Edgey and in none of them do we play in the court as a prosecutor. Yes,someone else who loves the first game the most as well! I've always loved just the overall atmosphere of it myself. My ranking list of all cases? Ok, let´s see, I try to rank them, however this is not my final list and I might change my opionion, since I am doing this list just spontaneously right now. The list includes all main games + Miles Edgeworth Investigations + DLC cases. However I excluded the DLC short episodes from Spirit of Justice, since I don´t think you can compare those < 1 hour fanservice DLCs with full length cases. 5.) Turnabout Visitor (I-1) - This case first introduced us to the new concept of investigating and therefore felt fresh and new. However the case itself really wasn´t anything special. Portsman actually was a good character, I liked his animations and enjoyed, taking him down. I also liked the return of Gumshoe and Maggey. But that´s about it, I don´t remember any other positive memories from this case. 4.) The Kidnapped Turnabout (I-3) – I agree with you that this case unfortunately isn´t that good. The main weakness of this case were the characters, I don´t know why, but I didn´t really care that much for the returning characters like Meekins and Oldbag, neither for the new Lauren Paups and Ernest Armano. They were just there but we didn´t get to know them really well. Speaking of just being there: I was so happy when suddenly Ema Skye appeared again, but was very disappointed that she only spoke a few sentences and disappeared again after only maybe 2 minutes or so. And then there is Lance Armano, a guy who we almost didn´t see before and then turns out to be the culprit himself. I liked the twist, however this (plus the neat setting and the funny badger costumes) couldn´t make up for the other weaknesses of the case. Often there were contradictions you saw coming from a mile away and you had to point out the obvious. Then there were some "contradictions" that just seemed stupid and didn´t really make that much sense. One more thing: How in the world didn´t Gumshoe and Edgeworth recognize Kay. At the latest after she said her name, they should have known who she is, that´s so stupid and unrealistic. 3.) Turnabout Airlines (I-2) – This case honestly wasn´t that great either. The only one who saved the case for me, was.... Rhoda Teneiro - one of the few really good side characters in the game! I actually found her personality really funny and cared about her in the end. Oh, and Cammy Melee´s musictheme is really catchy. Other than that, this case didn´t offer that much. There were no big twists (I think it was obvious that Melee was the culprit) and other than Rhoda, the characters weren´t interesting either. 2.) 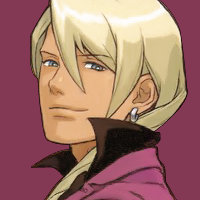 Turnabout Ablaze (I-5) – This case honestly was my biggest disappointment in the game. It isn´t a bad case per se, but considering this is a final case that has to resolve everything that was built up in the last 4 cases, it felt so underwhelming. I love every final case in the series, however this is the only one that couldn´t thrill me. The beginning of the case was lengthy and unfortunately didn´t feel very interesting. The most characters were – yet again – a slight disappointment in this case. It almost feels like this game forces character into roles which don´t even fit them (Larry, Oldbag again). The story wasn´t as interesting as I hoped it would be and there weren´t any big twists either (except maybe that Badd was part of the Yatagarasu, but still this twist wasn´t near as impactful as others in the series). By simply eliminating characters, you could easily deduce who was the culprit (since the cast of characters who could possibly have done it was almost non-existent) – For me it was quite obvious that Shih-Na in reality was Calisto Yew and unfortunately therefore this twist wasn´t a big surprise for me. The villain Alba was one of the weaker ones in the series as well. 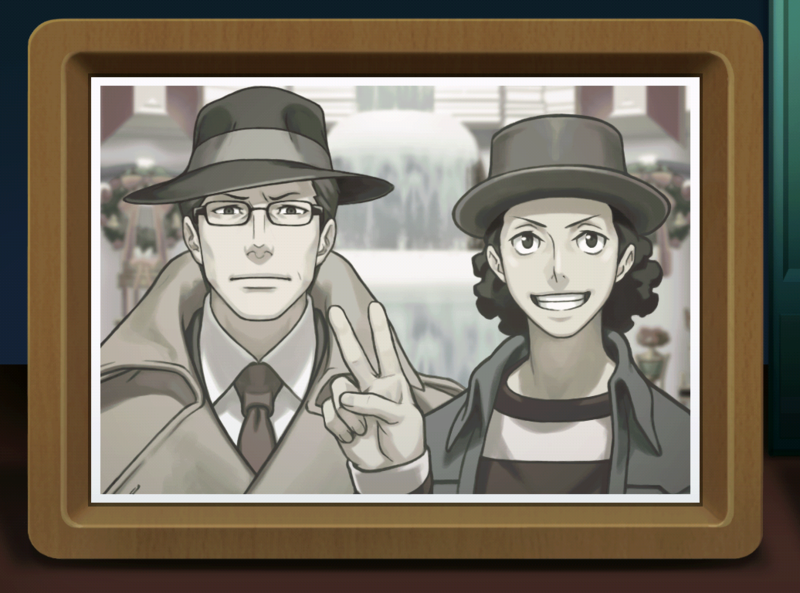 The only good thing about this case was the conclusion, which made me smile and some of the characters (in particular Lang and Kay), but other than that, I didn´t like this case as much as I hoped. 1.) Turnabout Reminiscence (I-4) – Finally! This was finally at least one case from the game which I really enjoyed very much and which could thrill me from the very beginning. I was very (positively) surprised about the appearence of Manfred van Karma and I fell in love with little Franziska. The characters and the character interaction in this case was fantastic! Detective Badd and Calisto Yew were both interesting characters as well with very catchy musicthemes. The trial-theme (which sadly only played in this case) sounds epic, maybe my favourite trial-theme in the entire series. The humour in this case was great, I loved how you first got the total wrong impression of Badd, his "zigarette" (lollypop) and "gun" mirror animations were hilarious. Also in this case I really didn´t know who could be the culprit for a long time and I only suspected Calisto Yew very late (I said to myself: "Could she really be it? Nahh, that can´t be, can it!?" 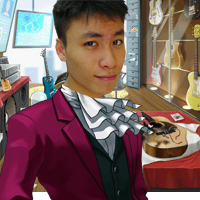 , shortly before Edgeworth himself did. But I want to add, that I just finished the game and my opinions on Miles Edgeworth Investigations might change over time. I think however, it´s for sure that this game will remain my least favourite AA-game. Last edited by AchtungBaby on Sun Feb 19, 2017 10:51 pm, edited 2 times in total. Very good! I love these games to death. @Achtung Baby I think it's safe to say I agree for the most part with you. I liked the way you ranked things in tiers like me,btw. @Michelaar I'm not really surprised by your rankings. They're the average AA games rankings I've come to expect. Well,except DD. That game was so hated by fans a year after it came out. I wouldn't recommend watching DGS btw,that game has some wonderful optional dialogue and in one case actually plays a big role in your thought process. I won't give too much away,but I recommend waiting till the fanslation comes out. I really enjoyed Dual Destinies, even the second case (which you could probably guess). But yeah, I'll wait for the translation then. Hope that's coming soon. I've not forgotten that I promised I would post my list and full thoughts here... HOWEVER: As of today I now own Professor Layton vs Phoenix Wright! So now I can do a complete list for all the ones that have been released in the west. Of course, that requires me playing PLvsPW first... so this is just to let you know I'm still intending on doing my list here. **This might change because there is at least one case I'm conflicted over the placing of. Whoa, it's been a while! No worries. I have and still am looking forward to this ranking. Happy New Year, everybody! Wow, has it been an entire year since my rankings ended? Time flies by fast, I suppose. Admittedly, looking back, some of these were written rather…amateurishly, and some of them definitely felt a bit forced. I still hope you envied them, though. Now, as for my DGS2 rankings…they'll have to wait. I'm really taking my time with this one, mainly because I haven't finished the game. Even when I do, though, I wish to take some time to collect and compose my thoughts on the game before writing them down. Plus, I do want to wait for the fan translation on YouTube to finish so that everyone can view my rankings with ease. So, expect that in the faaaaar future. That's all. Thanks, and goodbye! It's tripping me out that those write-ups were a year ago. Time flies by fast.